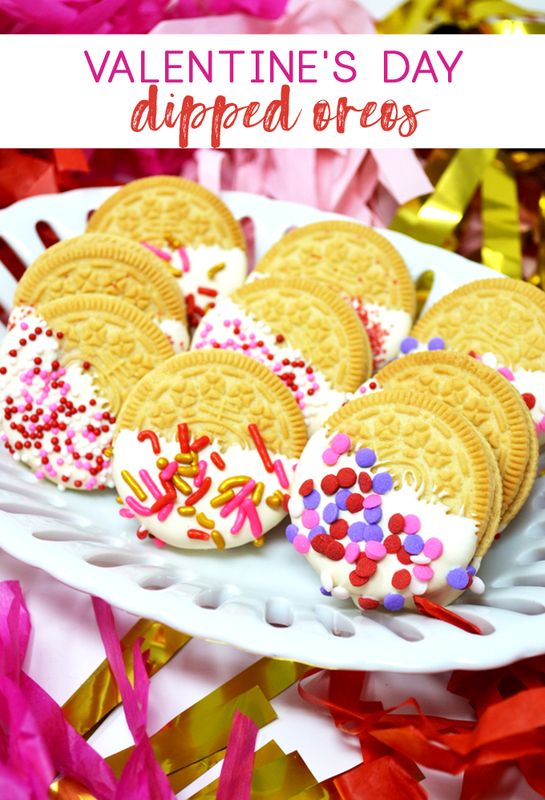 Sharing a super simple dipped Oreos recipe for Valentine’s Day! 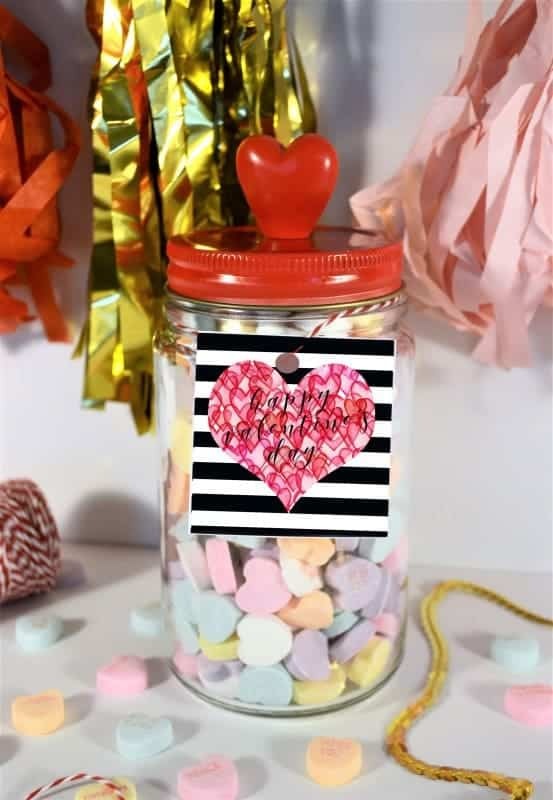 This easy treat idea comes together quickly, and makes a great gift for neighbors and teachers! The countdown to Valentine’s Day is on! We don’t do a lot to celebrate this holiday; simple and easy ideas tend to be our go-to. 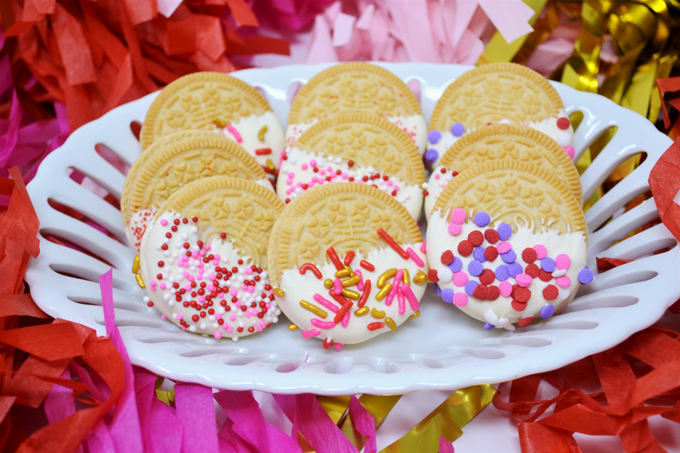 Fortunately, these Valentine’s Day dipped Oreos fit the bill. 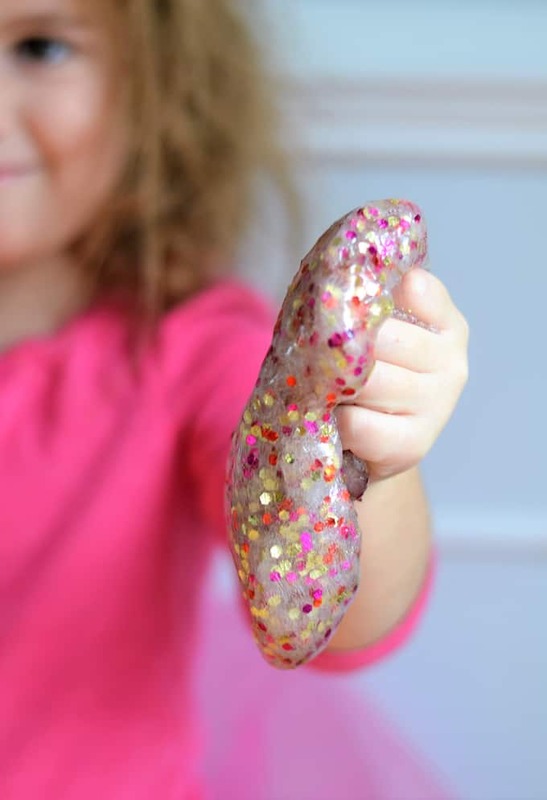 These are so, so easy to make, and can be customized with your favorite sprinkles! 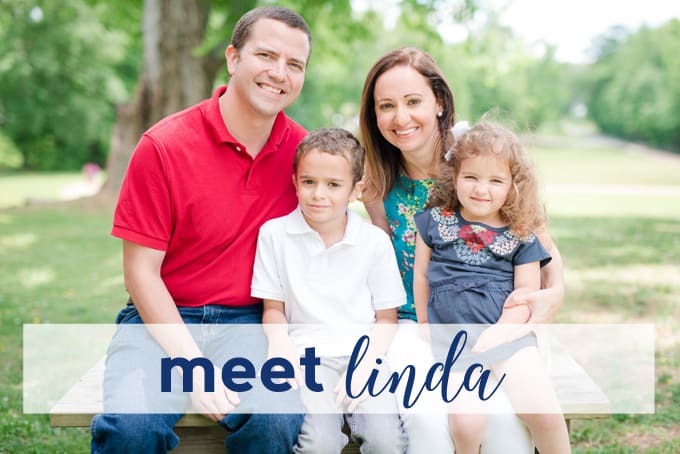 Make them for your family, your co-workers, your neighbors and friends. Just place a few in a clear cello bag, tie with ribbon, and you’re done! Full recipe is below. 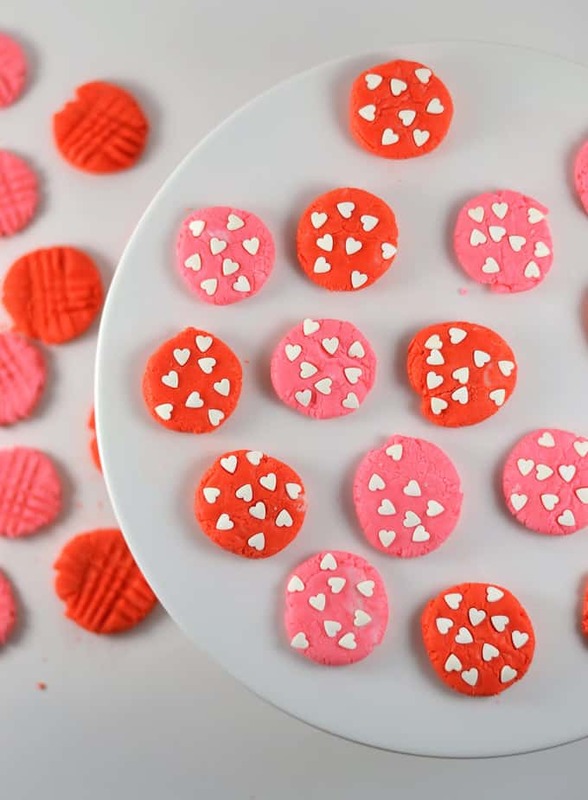 Basically, you’ll need sandwich cookies, candy melts, and sprinkles. 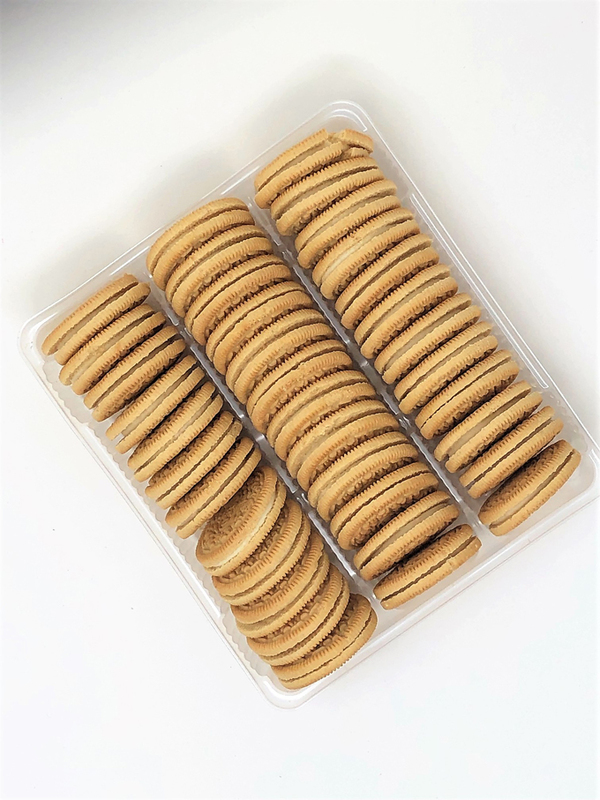 You’ll dip your cookies, cover with sprinkles, and let set. 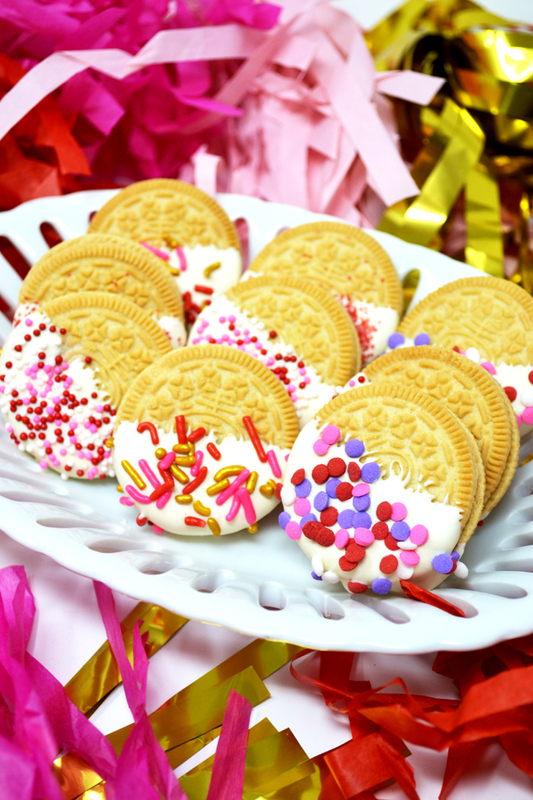 A quick Valentine's Day treat idea, these dipped Oreo's are delicious and make great gifts! Melt candy melts according to package instructions. I often add a tablespoon or so of coconut or canola oil to help thin the melted candy. 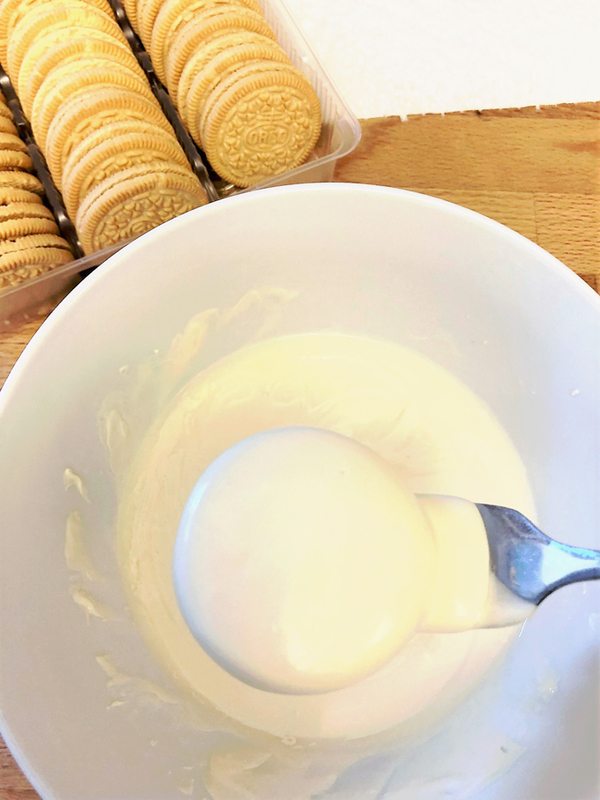 Dip your cookies, using a fork to tap off excess candy. Place on parchment, and sprinkle with your sprinkles. Store in refrigerator for 3-5 days. 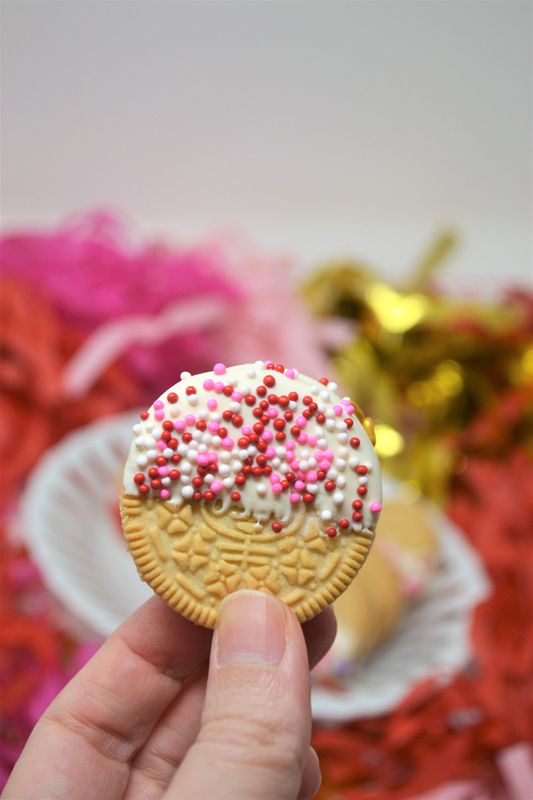 Thanks so much for reading all about our Dipped Oreos Valentine’s Day Treat Idea! Have a lovely day!